Investor / Land Developer Alert! This subdivision is adjacent to the Upper Chesapeake Corporate Center. The town of Elkton is inviting developers to annex into town. The town is anxious to work with developers to create a secondary egress connecting the Upper Chesapeake Corporate Center to Maloney Road. The Elkton Dept. of Planing has agreed to provide town water and sewer and will work with the developer to change the current zoning (DR) to whatever the "Best Use" would be (pending Town of Elkton approval). 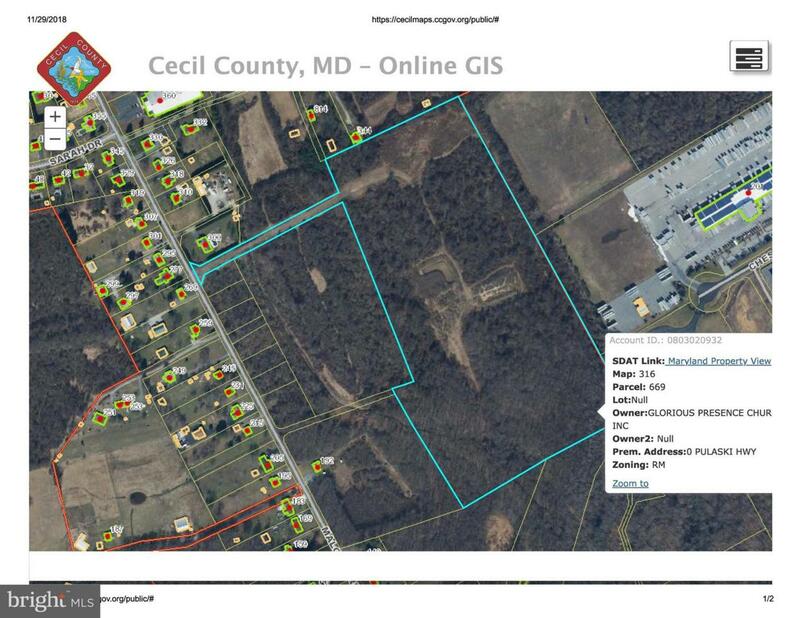 The current subdivision plat is approved by Cecil County for community on-site sewage disposal and community well water. Also, this property is within the Maryland Department of Housing and Community Development Opportunity Zone #305.05. This status will allow for up to 100% capital gains tax forgiveness with a 10 year investment (consult your tax professional). Location! Location! Location! Located minutes from the Delaware State line and I-95, this is about the half way point between Baltimore and Philadelphia, typically within an hour of either destination. The property has been improved with an asphalt apron at the entrance and a prefab concrete bridge built over the storm water drainage area. Priced to sell, don't let this opportunity get away. Call today to schedule your private showing.